Volunteers interested in serving the Parish in the ministries listed below are encouraged to contact the Parish Office at 508-761-8111 unless otherwise noted. Adult - Adult men serve during funeral liturgies. If you are interested, call the Parish Office. Extraordinary Minister of Holy Communion - EMHC assist the priest in the distribution of Holy Communion at Mass. Many also bring communion to the homebound. Lectors - A reader appointed to read the word of God during liturgies. The lector reads from the Sacred Scripture, except the Gospel, in the Mass and other sacred celebrations. Adult Choir - This choir is open to all parishioners. They provide music for the weekly 9am Mass on Sundays and hold rehearsals on Wednesdays following the 7pm Mass. Youth Choir - This choir is open to all youth of the parish. They provide music for the monthly 11am Children's Mass and hold rehearsals on Wednesdays prior to the 7pm Mass. Our Lady of Guadalupe "Cenacle for Life" Prayer Group - meets on Thursdays at 9:30am in the church. Come and join in a rosary for the end of abortion and in thanksgiving for the gift of life. Coffee Social Committee - Coffee and donuts are served after the 9am and 11am Masses. This is a great way to start your day. If you have time why not join us! Please call Sue and Mark Priest 508-399-8772. Crochet and Knitting Group - This group of volunteers have made lap robes, shawls, and hats that have been donated to the area hospitals, nursing homes, and VA hospitals. If you would like to join the group in this worthwhile activity, they meet on Mondays from 9-11am. If you do not crochet and/or knit, they will be happy to teach you. 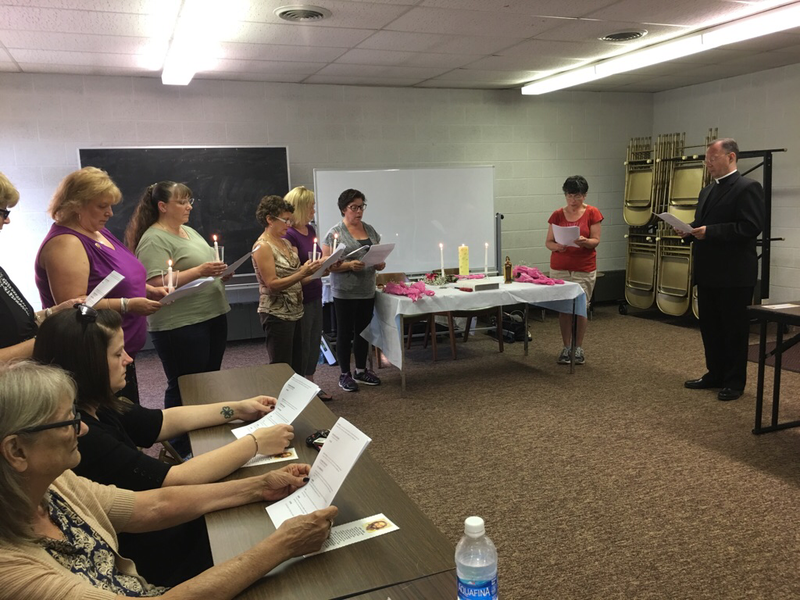 St. Vincent DePaul Society - Holds monthly meetings. Call the St. Vincent dePaul helpline to find out how you can join this group in their efforts to assist our neighbors in need.